Flower girls. By their definition, they’re little girls who carry flowers in front of the bride at a wedding. And they’re absolutely adorable, of course. We all know that, and know it well. 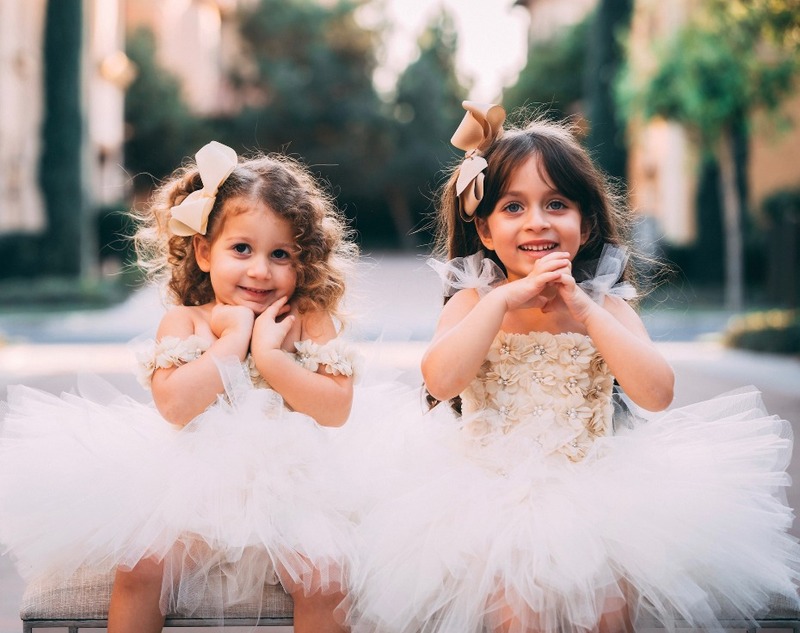 But instead of talking about the flowers thrown around, we figured it’d be best to talk about the flower-appliqued, tutu dresses these little girls can be wearing - and how they’ll change the world with them on. At least that’s what Marais Sky’s creator, mama and tutu aesthete, Sepi Danosian Bahadori, believes, and we agree with her wholeheartedly. 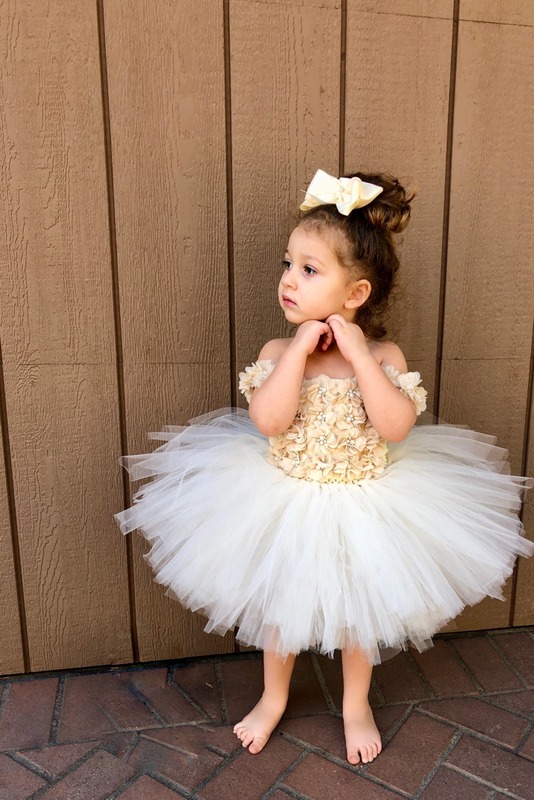 The designer sponsored this post to share all the darling details on her bespoke tutu dresses and skirts, and our favorite feature on them all: those hand-placed flowers 🌼🌼🌼. Named after her daughters, Valentina and Juliette (as a compilation of their two middle names Marais - the historic art and fashion district in Paris - and Sky), Sepi brought Marais Sky to life in 2013 and for the last 5+ years, she’s been growing the brand just as devotedly as she’s been momming. Sepi comes from an incredibly artistic family - her father was an artist and her mother is a pianist - and was born in Vienna, Austria, the mecca of art and music. 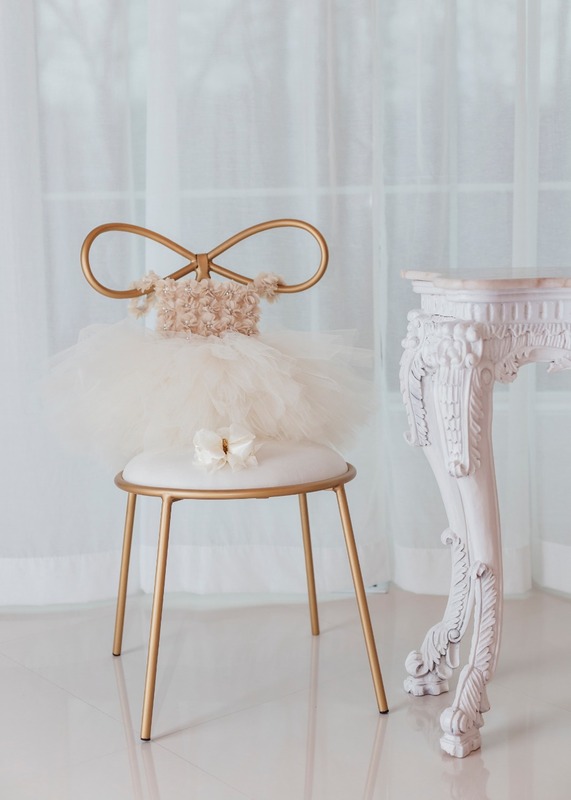 So, the inspiration for her designs comes from classic ballets she watched and artists she admired as a child (like The Nutcracker and Degas). Everything is very feminine, ethereal and dreamy. Perfect for angel baby flower babes! As a civil engineer, Sepi brings sooo much of her professional panache into her passion project - Marais Sky - at home. She pays such special attention to the ‘structure’ of each of her dresses+skirts. Many of the painstaking details are not even noticeable from the outside, but the way every dress is designed/constructed is extremely unique. Literally inimitable. It works, too, when you’re in the business of making confections for the happiest, one-of-a-kind occasions in life. Sepi lives for the opportunities she has to become a part of people’s memories, their family photos, birthdays, and weddings 🙌. And she leaves a part of herself in every piece she makes, just as an artist would with a piece of his/her original art. 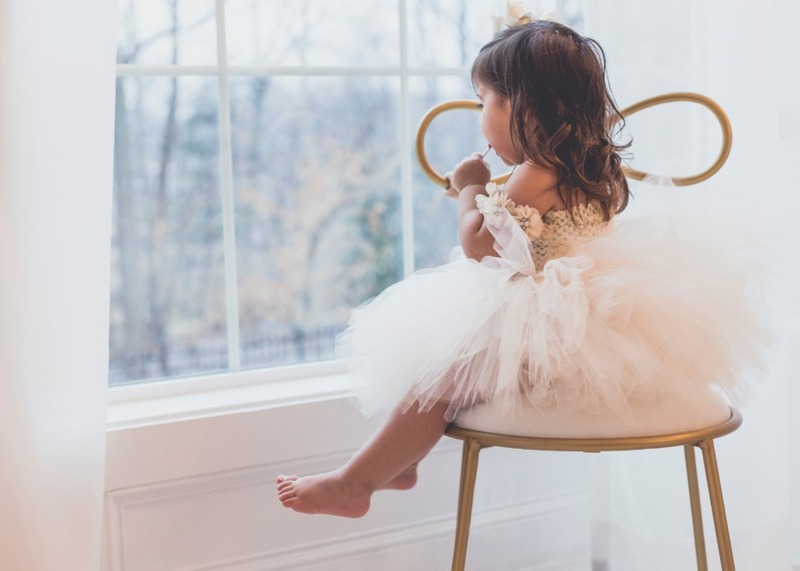 So, remember when we shared a few ways that brides can win over their flower girls’ hearts? Well, we thought of one more: give the ladies some flower looks to love. And Marais Sky has the best for every flower princess, using handmade flower-lined bodices, flower-adorned straps, and extra pearl and rhinestone detail dusted into all the petals - for stunning sparkle ✨✨✨. These dresses have celeb cachet for days. Sepi and her team just made a custom dress for Nicky Hilton’s daughter, Lily-Grace, for her 2nd birthday. 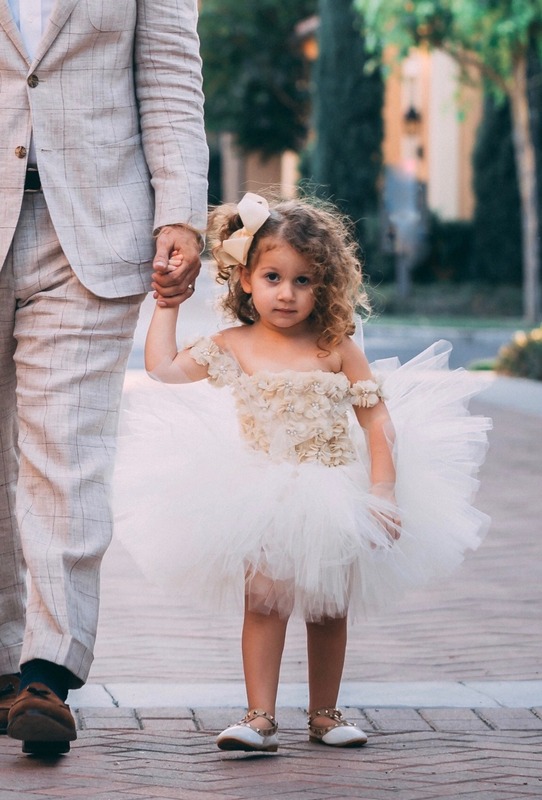 So, for any flower girls who might want to try out polka dots and bows instead of flowers, we’ll allow it! Oh, and every year Marais Sky donates a handful of dresses to local charities (such as CASA, JDRF, Make-a-Wish Foundation, Shea Center, American Heart Association) to help raise money at their yearly galas. I’m a big fan, as a Type 1 warrior myself!! 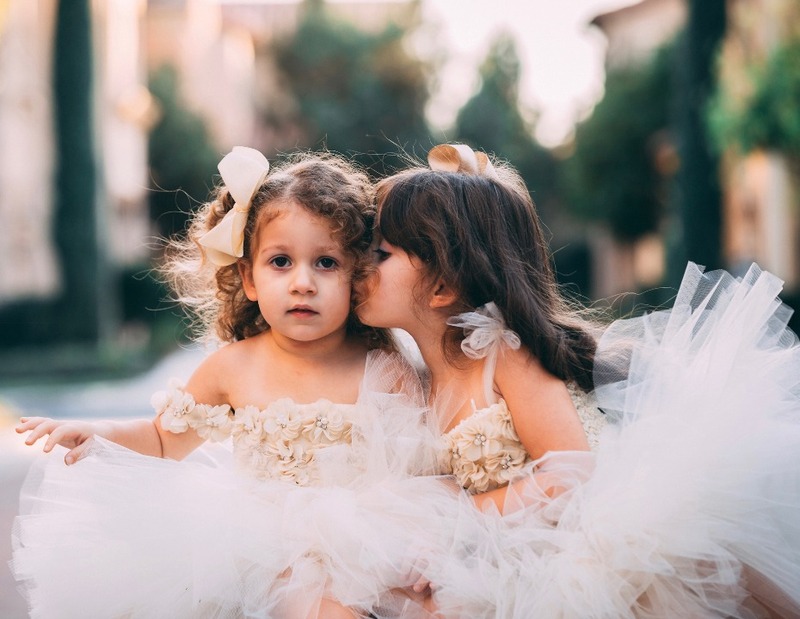 We partnered with Marais Sky to bring you all this flower (girl) power! As always, thank you for supporting our sponsors!